On a typical day at Holy Apostles, you can usually find Omar in the back of the soup kitchen by counseling, enthusiastically talking to guests and handing out haircut vouchers, clothing referral slips, and toiletries. Omar has been volunteering here for years, but when he initially came to Holy Apostles ten years ago, he came as a guest. But what it really comes down to for Leroy is the people – he loves the volunteers and other guests. To home we must go. I think that we each tell it well. Exchange stories that are funny. But others are bad and will send you home mad. I usually give away food – leftovers from a restaurant or bread that’s getting old at the house. I usually make sure I have something on my person to give away – a granola bar, an orange – so I don’t have to feel so bad when I walk by people who are hungry. It does more for me than them, to feel kind. I know it’s not much of a sacrifice, more of a thought, a good intention. But I’ve gotten compulsive about it – looking in likely places for needy people. I’m on the lookout for the poor – begging at subway stops, sleeping in laundromats, collecting plastic bottles and cans from the trash. I’ve gotten compulsive to the point that I give away food that’s not mine – my roommate’s leftover pita, that bag of Famous Amos cookies I picked up from the office. I know they won’t miss them: my roommate will let the pita go stale; the office ladies won’t touch the cookies because they’re on diets. 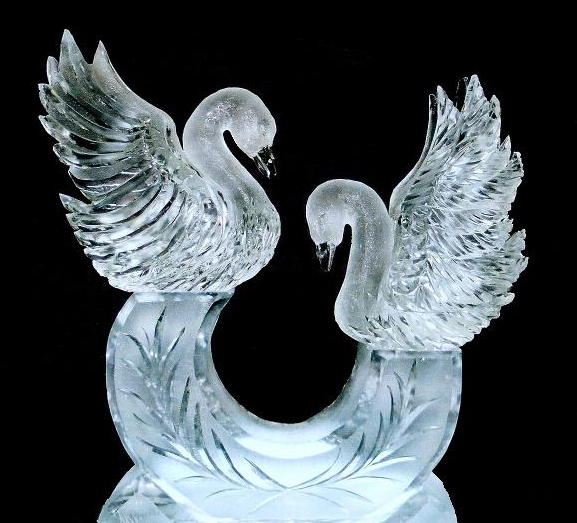 I want to give something extraordinary – a pot of striped tulips or a stained-glass window – something gratuitous and wonderful: a swan carved out of ice, like those centerpieces on luxury cruise buffets, an Austrian harpsichord, a vellum shred of a gnostic gospel, a submarine paddle boat, a remote-control mechanical butterfly. Or would I keep that for myself? What about my notebook with all those scribbles I dream of turning into a novel someday? Could I give that away – something so precious to me and probably useless to a man on the street? Imagine what he’d do with it, and what I’d do without it – my other compulsion besides giving away food, not writing, but scribbling in a notebook. Would he be disappointed or delighted? Would he tell a story about it – maybe to the guys playing chess in Washington Square Park? Would they read my notes aloud? Would they make fun of me? Would he drop it in a puddle and let the ink words blur in the rain, leave it as debris in the wet leaves? Or would he try to decipher me? Would he make a mystery of the scrawls, or even a ritual? hang the pages out to dry – take the words and parts of words that didn’t blur, the pages that didn’t blow away, and make found poems out of them? or images? Or something even more material – tear the pages into bits, moisten the pulp, make papier-mâché cranes? And what about the spine of the notebook, the spiral wire – would he take days to press it straight and use the filament for something practical? a paper clip? Aside from offering our guests a hot meal and counseling and referral services, our daily outreach tables connect our guests to a variety of services, including health services, veteran benefits, and housing assistance. Harlem United staff Jessica and Nicky recently came in to Holy Apostles to let our guests know about a program called the PEARLS program for women (Prevention, Education and Recovery Learning Strategy). The program, which helps with recovery support and relapse prevention, is one of Harlem United’s many great programs that help people in difficult situations get back on their feet. Nicky was here at Holy Apostles to sign our guests up for PEARLS as part of the staff at Harlem United. But several years ago, Nicky was going through a difficult time in her life, and she came to Holy Apostles as a guest. Since then, she’s turned her life around and is grateful to have the opportunity to help other people in need. “I came here during a very difficult time in my life. It was comforting to know there was a place I could rely on to get hot food. 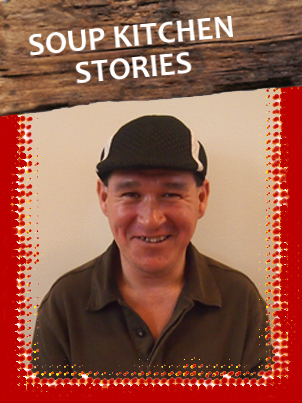 The people at Holy Apostles were always very nice,” Nicky shares. 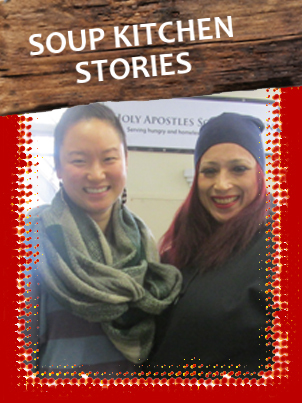 Karla found out about Holy Apostles Soup Kitchen in 2008. 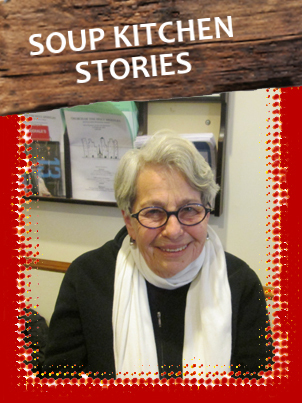 “I read a wonderful article by Ian Frazier about Holy Apostles in the New Yorker, and I immediately wanted to do something to help out,” Karla says. Through her extensive experience counseling a variety of populations, Karla has the knowledge and compassion to be a great help to our guests. “I always make sure to be accepting, kind and generous with our guests. Many of the people who come here have had very rough lives,” Karla says. Michael is a 36 year old New Yorker, from Brooklyn. After leaving school, Michael pursued his dream of becoming a hairdresser, honing his skills in California before returning to land a job at a high end Fifth Avenue salon. But last year, when Michael’s roommate moved out and he was left to cover their rent alone, things started to go wrong. When he lost his job and was unable to find another, Michael was evicted. Michael’s drinking spiraled out of control for several months before he took the first step to address his addiction at a Washington DC based rehab. 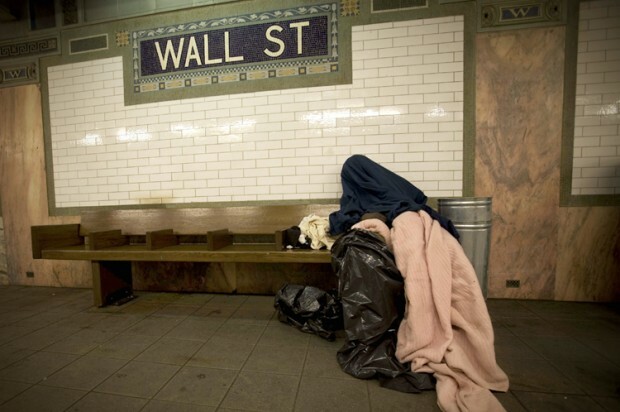 But returning to New York newly sober and homeless, presented a whole new set of challenges. 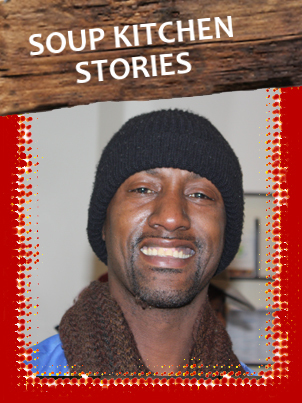 He knew he needed support and luckily he remembered Holy Apostles Soup Kitchen. 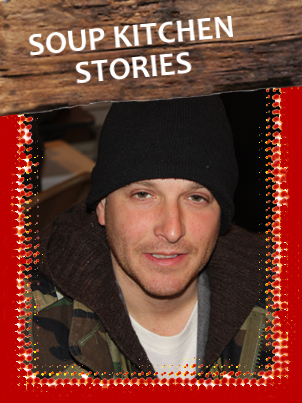 Today, Michael has eight months of sobriety and is slowly turning his life around. Having found a place in the shelter system, he comes to the soup kitchen every day for a meal and respite from the chaos of the shelter. I’ve always been aware of my first love. For all the loves who have come in and through my life, who I’ve loved intensely and sweetly, this love remains. For men who have loved me and left or those who have had the door shut in their face. 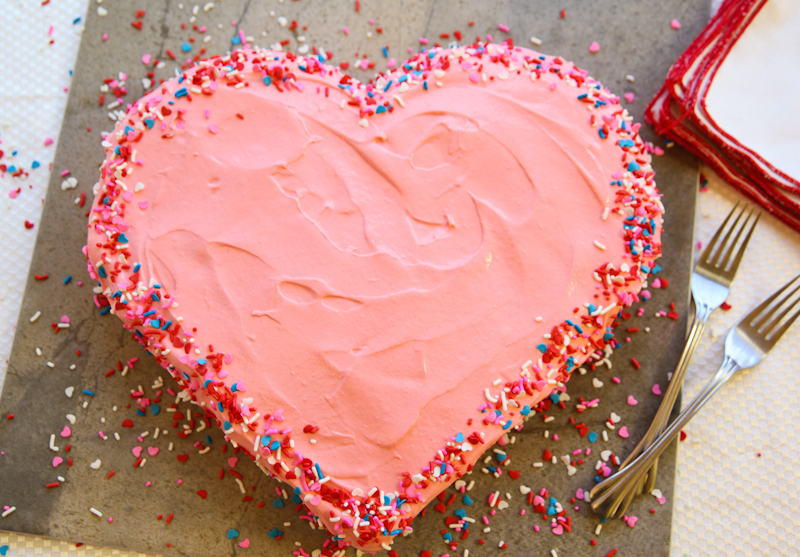 None has ever touched me like my first love–food! It’s been a continuing affair since first memory, snacks at the circus. Grandmother always said I ate my way through the three rings. The terror of that day was holding the peanuts tightly fearing the elephant wanted one. I screamed scarlet and held the bag closer. I won. Dumbo was terrified. I learned the art of cooking in my grandmother’s southern kitchen. I did well there and had the weight to prove it. Food didn’t talk back. Pork chops and fried apples, roast beef with mash and gravy. Home-canned veggies and preserves. In the ware of weight, food won. Food loved me. People could see it, and I never said no to a box of chocolates. There’s no “heroin chic” for me. Food is my comfort, my control, and the nicest reward. A new dish well prepared and enjoyed makes my endorphins sing. It’s a lifelong affair, and as you can see, I wear my love well. Andrew, 24, has been homeless since he was 3 years old. His grandmother, one of the only positive influences in his life, passed away when he was just 18 years old. Andrew recently got out of 45 days in prison, and is ready to get back on his feet. Andrew has continued to come here over the years because he loves the community. “I really like it here. 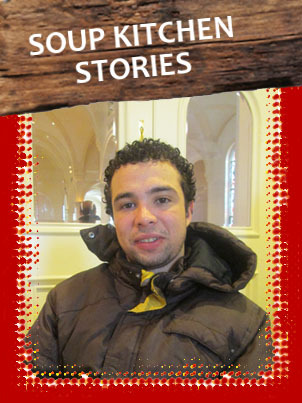 If Holy Apostles wasn’t here for me, I don’t know where I would go,” Andrew says. Being in touch with reality includes having a good sense of time. When estimating how long an operation will take, realism is called for. 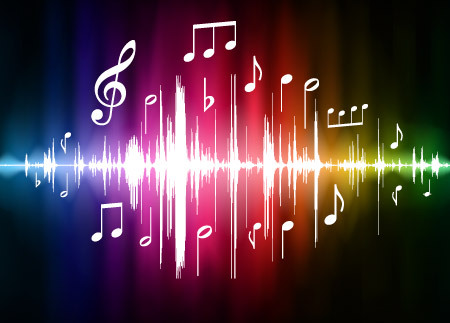 Musicians often practice the same number, first very slowly, then exceedingly rapidly – this enables them to feel it in different ways, and to be more precise in their adherence to the tempo they will choose when it comes time to perform. We have all experienced how, when a child, one summer can seem like forever. But when an adult, one summer can go by very quickly. That is because for a child the three months are a greater portion of the time he has lived than they are for an adult. But this presupposes that the child looks at the summer months in comparison to his past, not at the past in comparison to the three months of summer. As we grow older, the reverse is more likely to be true: we look at the past years of our life in comparison to the recent years of our adulthood. When this happens, life seems to have gone by very quickly, and the importance of the immediate present is greatly magnified, much the way the moon, so much closer to us than the sun, appears to be about the same size as the sun, even though it is, in fact, so much smaller. Along the way, we experience engrossment. We get absorbed in some highly engaging activity, so much so that we neglect to look at the clock. It may seem that only a matter of minutes have transpired, but when we interrupt ourselves and look at the clock – behold!!! several hours have passed. I have experienced this illusory sense of the passage of time on many occasions while playing chamber music. It can also be said that such engrossment gives us an inkling of what it means to transcend time. It is much like, when reading a novel, one often feels that one is being transported to a far-off land, leaving the earth and her moon, the sun, and even the far-off stars, far behind. The transcendence of time through death has in times past been understood as meaning that time has been enfolded in eternity, which was taken to be the space-like co-presence of all time. This should not, however, be mistaken to mean that in dying we transcend history; we transcend only the time during which we lived. Our death is our way of taking our place in history, not of nullifying history. Just as the ticking clock measures our lifetime, just so, the turning world measures the passage of the seasons. Each revolution returns the world to the same starting point as the previous revolution, but each tick is yet another extension of an ever-changing world.